Tuesday is the day to work any magick that falls in the category of increasing strength, courage, bravery, and passion. All of these intense emotions are linked to this day’s energies, and spells designed around these themes will have extra punch when performed on this magickal day. So, let’s add a little passion and conviction into your life! Break out the daring red pieces of your wardrobe, and put a little pizzazz into your day. Work with Lilith, and see what she has to teach you about personal power and sexuality. Meditate on Tiw/Tyr and Mars, and see what those ancient warrior gods will show you about new tactics, strategies, and claiming personal victories in your life. Practice conjuring up that astral weapon from the meditation and use it wisely for protection and for courage. 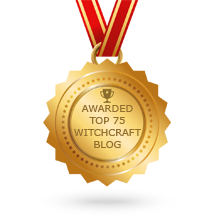 Create a philter for courage and protection or handcraft your own Witch’s jar to remove negativity from your home. 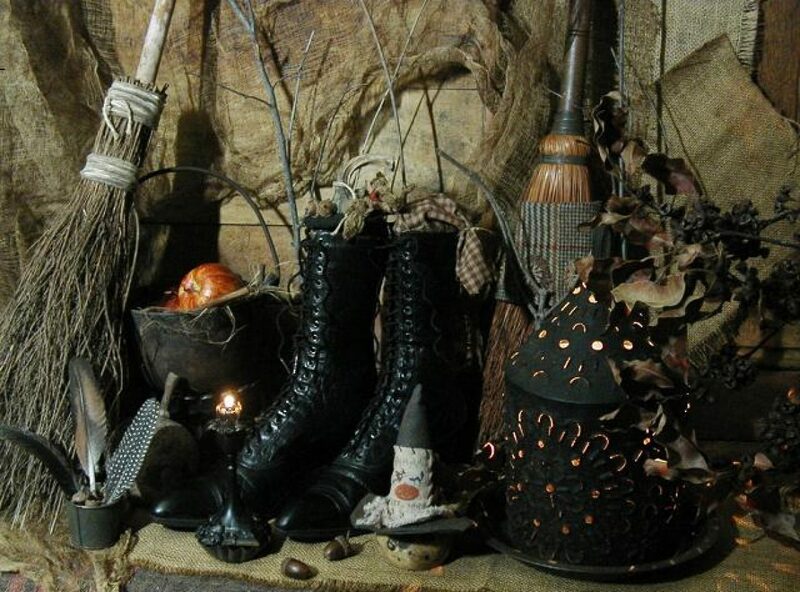 See what other Witch crafts you can conjure up with Tuesday’s magick. Create some kitchen magick on this Tuesday by whipping up a spicy stew-add in a few Mars-associated ingredients such as carrots, peppers, and garlic. Empower the stew for success, and then treat yourself and your family to a good, hearty meal. Try working with a little aromatherapy and burn some spicy or coffee-scented candles to increase your energy level. Check the sky at night, and see if you can find the reddish planet Mars up in the heavens. Not sure where to look? Check an astronomy magazine or search the Web for more information. Become a magickal warrior and move forward in your life with strength, courage, and compassion. Embrace the side of yourself that loves a good challenge and that is passionate and daring! Banish fear, and face your future with strength and conviction. Believe in yourself and in your dreams, work hard, and you will win every time. Posted on January 12, 2016 by ladyoftheabyssPosted in Articles, Daily PostsTagged Astronomy, bravery, Courage, good challenge, Kitchen Magick, Lilith, Mars, negativity from home, Passion, philter for courage, Protection, strength, Týr, Tiw, Tuesday's magick, Tuesday’s Witchery, Warrior Gods, Witch's Jar. Posted on December 29, 2015 by ladyoftheabyssPosted in Articles, Daily PostsTagged Astronomy, bravery, Courage, good challenge, Kitchen Magick, Lilith, Mars, negativity from home, Passion, philter for courage, Protection, strength, Týr, Tiw, Tuesday's magick, Tuesday’s Witchery, Warrior Gods, Witch's Jar. Posted on December 15, 2015 by ladyoftheabyssPosted in Articles, Daily PostsTagged Astronomy, bravery, Courage, good challenge, Kitchen Magick, Lilith, Mars, negativity from home, Passion, philter for courage, Protection, strength, Týr, Tiw, Tuesday's magick, Tuesday’s Witchery, Warrior Gods, Witch's Jar. Posted on December 8, 2015 by ladyoftheabyssPosted in Articles, Daily PostsTagged Astronomy, bravery, Courage, good challenge, Kitchen Magick, Lilith, Mars, negativity from home, Passion, philter for courage, Protection, strength, Týr, Tiw, Tuesday's magick, Tuesday’s Witchery, Warrior Gods, Witch's Jar. Posted on November 17, 2015 by ladyoftheabyssPosted in Articles, Daily PostsTagged Astronomy, bravery, Courage, good challenge, Kitchen Magick, Lilith, Mars, negativity from home, Passion, philter for courage, Protection, strength, Týr, Tiw, Tuesday's magick, Tuesday’s Witchery, Warrior Gods, Witch's Jar. So, let’s add a little passion and conviction into your life! Break out the daring red pieces of your wardrobe, and put a little pizzazz into your day. Work with Lilith, and see what she has to teach you about personal power and sexuality. Meditate onTiw/Tyr and Mars, and see what those ancient warrior gods will show you about new tactics, strategies, and claiming personal victories in your life. Practice conjuring up that astral weapon from the meditation and use it wisely for protection and for courage. Posted on November 10, 2015 by ladyoftheabyssPosted in Articles, Daily PostsTagged Astronomy, Banishing, Garlic, Kitchen Magick, Lilith, Magick, Mars, Týr, Tiw, Tuesday, Tuesday’s Witchery, Witch's Jar. The New Moon is a time best suited for new beginnings! For the first 48 hours following the exact time of the New Moon each month, a window of opportunity opens for making wishes that, if noted, come true in the days and months ahead. There is a tremendous amount of enthusiasm in the atmosphere, making it a great time to go forward and begin projects that you feel instinctively attracted to initiating. Follow your impulses and let yourself make new starts in areas that are important to you. Posted on March 2, 2014 by ladyoftheabyssPosted in Articles, Current Moon Phase, Daily PostsTagged Astronomy, Earth, Lunar phase, Moon, new beginnings, New moon, Planet, Solar System, Sun, window of opportunity. This is a time to rest, reevaluate and reflect, pulling back into yourself to reconnect with inner sources of strength. Now is not a time to initiate anything new. It’s a phase suited to spending time with friends and getting in touch with the “big picture.” A window of opportunity exists for seeing your life objectively and becoming aware of what is important to you. At this point, what are your dreams and aspirations? What larger goals can you aspire to that will bring vitality and excitement into your life? This is a time for resting and gaining inner strength to prepare for a new cycle. Posted on February 27, 2014 by ladyoftheabyssPosted in Articles, Current Moon Phase, Daily PostsTagged Astronomy, Balsamic Moon, Crescent Moon, Earth, illumination, inner sources, Lunar phase, Mahavidya, Moon, Planet, reevaluate, Solar System. The Equirria was an ancient Roman festival of horse-racing held in honor of the God Mars. It was said to have been established by Romulus and held in the Campus Martius on Caelian Hill. There was a similar festival held on March 14 called the Mamuralia. Mars was originally a God of agriculture and guardian of fields and boundaries, known as Mamers, Maris, or Marmar. He became identified with the Greek God Ares and so assumed the major role of war God. He was regarded as the son of Juno, and the month of March was named after him. He had a succession of festivals in February, March, and October. The First Pentacle of Mars is used to invoke the powers of Mars for gaining courage, enthusiasm, ambition, and all physical accomplishments. Posted on February 27, 2014 by ladyoftheabyssPosted in Articles, Daily PostsTagged Astronomy, Caelian Hill, Campus Martius, Holiday, Mamers, Mars, October, Pentacle, Planets, Recreation, Solar System. This is a tremendous time of transmutation. All of the prior elements are coming together for a final burst of creative output. You have seen a clear view of your own needs and the posture of significant others. Now the accumulation of that input is leading to a deep, core change within you. In this phase, you will naturally be inclined to seek higher guidance so that you can emerge from this transformation successfully. The Disseminting Moon favors sharing what you have learned (and are learning) with others. Posted on February 21, 2014 by ladyoftheabyssPosted in Articles, Current Moon Phase, Daily PostsTagged Astronomy, creative output, Earth, Gibbous Moon, illumination, Lunar phase, Moon, New moon, Phases, Planet, Solar System, transmutation.